Postmedia/The third section of the modular showhome arrives at Lansdowne Park. Postmedia/Putting the finishing touches on the Idekit home at Lansdowne Park, which was assembled in about 10 hours by Bernard Morin and an assistant. Bernard Morin would like us to start thinking inside the box. If we did, he says, we could build homes quicker, cheaper and a lot greener. Morin, with his wife and business partner Jocelyne Labelle, sells homes made from recycled maritime shipping containers. You know: those long, corrugated steel boxes used to transport cargo by ship, rail and truck. Based in Ste-Adele, Que., the couple's company, Idekit Homes (maisonidekithome.com), produces buildings that are durable, energy-efficient and, thanks to extensive glazing and open spaces, surprisingly bright inside. Other companies in Canada and elsewhere are also using containers for homes and commercial applications, and with millions of decommissioned shipping containers plugging shipyards and dumps the world over, there's no shortage of building material. 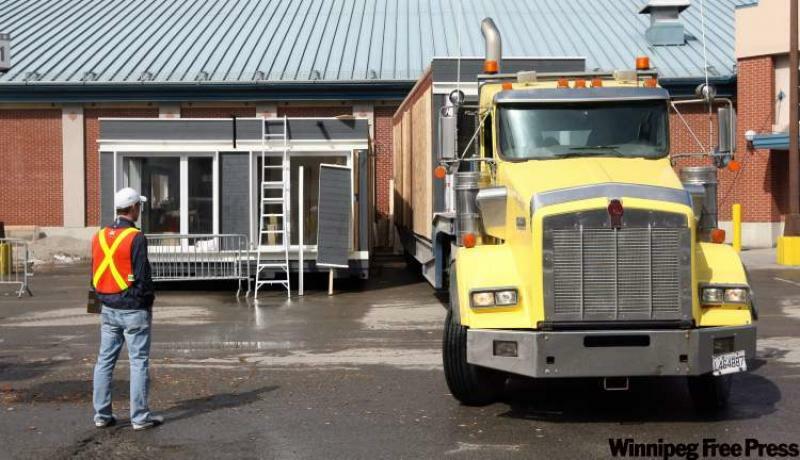 Visitors at the recent Ottawa Home & Garden Show could see an Idekit model home made from three shipping containers. Pre-wired, and pre-finished inside and out, the 1,200-square-foot "Less Is More" house was shipped from Ste-Adele by truck. Once in Ottawa, the two-bedroom home was assembled in about 10 hours by Morin and an assistant. "It's very fast because it's so simple," Morin says. "You put it together like a Lego set." Fast and simple is right. The first container, resembling one half of a double-wide house trailer and comprising the galley kitchen, part of a bedroom and one-third of the living/dining room, was slid from a flatbed truck onto a couple of steel beams on the ground. Normally the house would sit on a concrete slab, a dug foundation or piers. It wasn't positioned perfectly, so the truck driver just gave it a nudge with his vehicle. Try that with a normal house. Later that day, the middle container arrived. It contains the three-piece bathroom along with more sections of bedroom and living/dining room. It was secured alongside the first container with a few big specialty clamps. The final container, which includes a hall closet, laundry room and the rest of the master bedroom and living/dining area, showed up Tuesday afternoon. By 7 p.m., the pot lights were on and Morin and his assistant were finishing up. The next day saw touch-up painting, the installation of furniture and basic landscaping. The model home isn't opulent, but it is functional and welcoming. By setting the bathroom with its modified vessel sink and all-glass shower in the centre of the home, the other rooms can take full advantage of glazing opportunities on the exterior walls. The two bedrooms at the rear of the home, for example, have full patio doors that could lead to a large deck, while the living/dining area has floor-to-ceiling windows on three sides. The home's connection with the outdoors is underscored by using grey-stained pine for the wide-plank floors, trim and even the countertop in the contemporary IKEA kitchen. Cost of this home, including delivery and setup, but excluding electrician, plumber and the building lot: $99,000. "I got the idea in the early 1980s when I was studying to be an architect and was on a placement in Frobisher Bay (now Iqaluit)," Morin says. Containers used to transport supplies for a military base had been left behind and some were converted into homes. "I thought it would be interesting to try to build a business selling homes made from containers, but it didn't seem very practical then, so I put the idea aside." Fast-forward a quarter-century and the world contains a lot more abandoned but still usable containers. Companies find it cheaper to buy new containers than retrieve empty ones. And with the western world ever more conscious of consuming precious resources, Morin figured that what wasn't salable in the 1980s probably had become so. So four years ago, he wound down his luxury residential architectural practice to work full-time developing his new modular-home business. Idekit has so far sold about 20 homes and is expanding into the commercial market. The company believes there's also long-term opportunity in condo construction. Morin, Labelle and their six children live in a 3,000-square-foot Idekit home themselves. They built it in 2007 using seven containers to produce a stacked effect. The home cost the couple about $175,000 compared to the roughly $400,000 it would have cost had they built it from traditional materials. "Some clients want wood or wallboard inside," says Labelle, "but we wanted a contemporary look, so we kept the steel and just painted it and installed concrete floors. It's very comfortable." Buyers also have the option of a home already outfitted with kitchen and bathroom cabinetry or doing the job themselves. Because the structure is so strong and rigid, she adds, the pre-finished containers can be transported without fear of damage. The homes are airtight, waterproof and energy misers, thanks to the welded steel construction and heavy insulation. 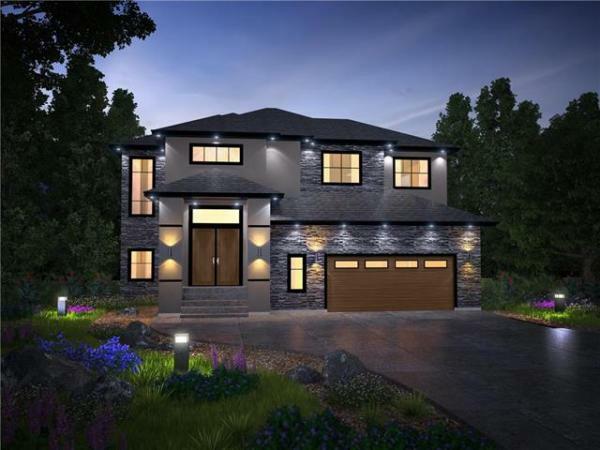 The company says the homes are eligible for Leadership in Energy and Environmental Design (LEED) certification, and the flat, strong roofs are perfect for adding a few inches of topsoil and planting heat-reflecting vegetation. Families in countries such as Jamaica have long taken advantage of discarded containers to provide cheap, adaptable and hurricane-proof housing. Elsewhere around the world, there are designer homes, a youth hostel in Amsterdam, and, in east-end London, Container City, a mixed-use residential and office project built a decade ago and expanded twice since. In Victoria, sustainable-building designer Keith Dewey has seen the container-home end of his business suddenly accelerate in the past few months. He has five projects on the go. "It's taken a while for the public to catch on, but it's like the dam has burst," says Dewey, the owner of Zigloo.ca. "I think before, there was a negative association of containers with refuse and also with illegal immigrants who hid in them. That image seems to be changing." Dewey encourages his clients to use the money they've saved by buying a container home to purchase more sustainable finishes, heating systems and the like, thereby extending their green reach. 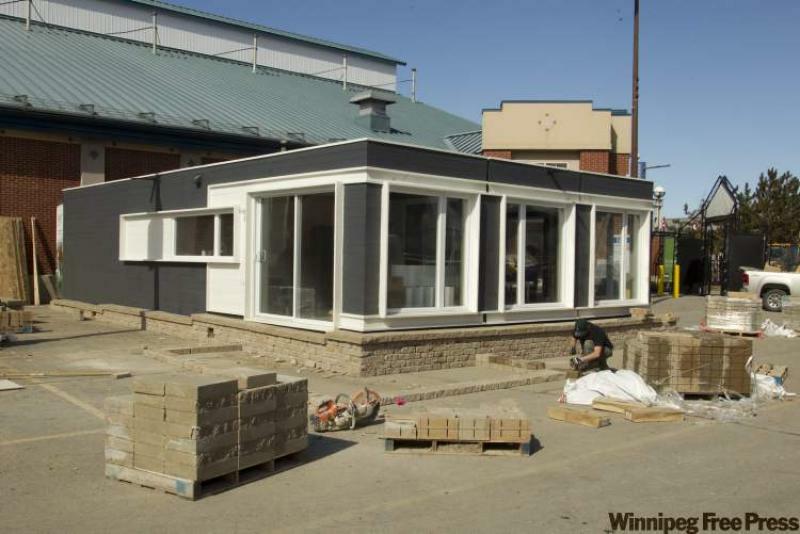 Container-home companies say some municipalities are slow to approve their structures and that changing the building code to include them would help ease their entry into the housing market. Morin, meanwhile, is confident about the future of his industry. "What buyers like is the quality that can go into the interior of the building because the structure doesn't cost very much -- it already exists. Also, there's the ecological reason: There is almost no construction waste."